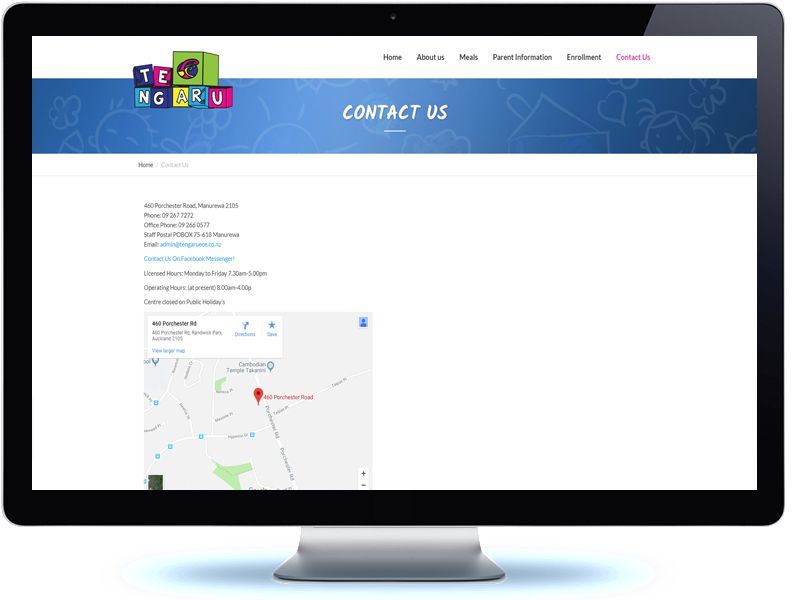 Te Ngaru Early Childcare Centre approached the Koda team to develop their organisation website. 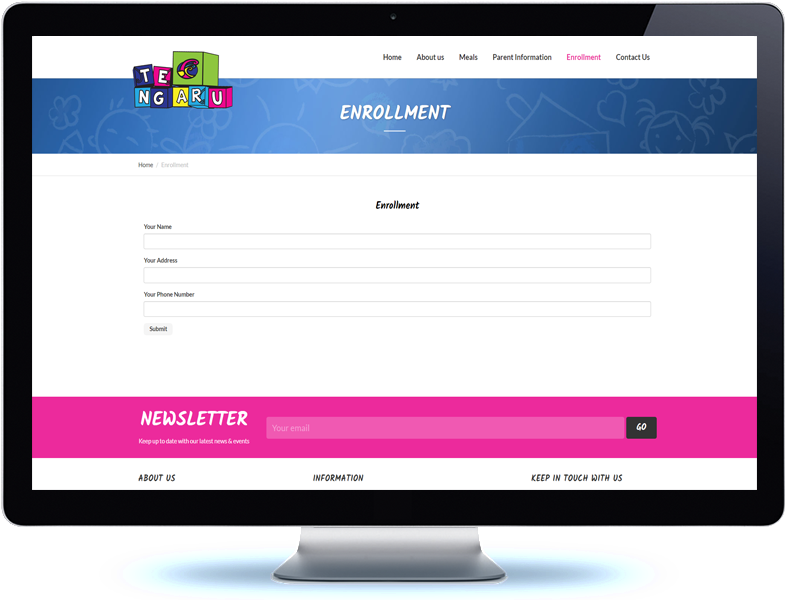 The brief was to provide an engaging design, bright and vibrant that captured the essence of childhood, our design team worked closely with the Te Ngaru team to develop the engaging interface the site now uses. Built on the Drupal content management system the website allows webmasters full control of all content on the site, with the ability to edit and create as many new pages as they wish. The website provides the Centre with a single portal where parents can access all information and policies associated with the services they are providing.